These statistics have been marveled at by sports journalists and broadcasters, statisticians, fans and opposition alike. But what if the mystery of 3:16 is rooted in something much deeper than statistical coincidences? The most astonishing aspect of this “phenomena” is not just found within the numbers, but within the words and promises that John 3:16 contains. If you take a deeper look into Jesus’ words in John 3:16, it is obvious that this verse is so much more than a statistical coincidence in a football game. It’s much more than just a trending Google search. It is the most popular, most quoted, and most widely used verse in the Bible, but do we truly understand the weight that it carries? What is it supposed to mean to us as individuals? What is it saying about our future hope and what we have to look forward to? There are so many truths and declarations that Jesus makes in these twenty-six words that he spoke over 2,000 years ago, but we’ve heard them so many times that they may not have the proper effect in our lives. What if we looked at this verse with the same intention and attitude that Jesus had when he spoke them? What if we felt the weight of these words and that weight activated something inside of us to live in the promises that Jesus made for us? Could it be that this verse, this short passage, tells us what we can be sure about of our destiny if we put our faith in Jesus as our savior? This Christmas Eve, you are invited to join us at Lifegate Denver to take a closer look at these words and be surrounded by people just like you who are looking for answers to these questions. 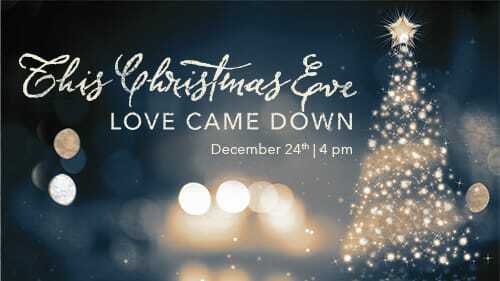 Join us on Saturday, December 24th at 4:00 pm at Cherry Creek High School as we experience John 3:16 together.